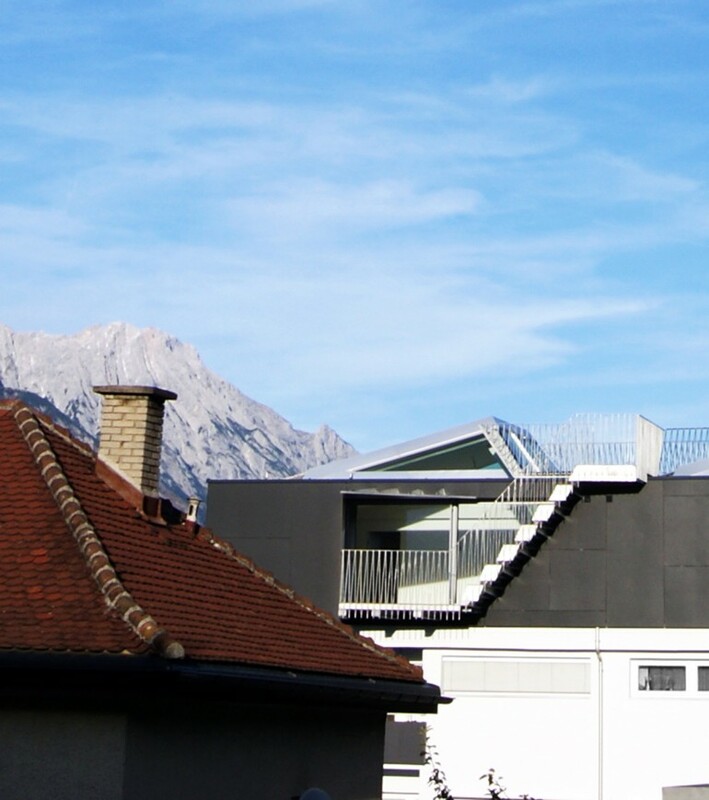 Approached by a private landlord mahore architects were appointed to develop the design for the extension of an existing building in Innsbruck. 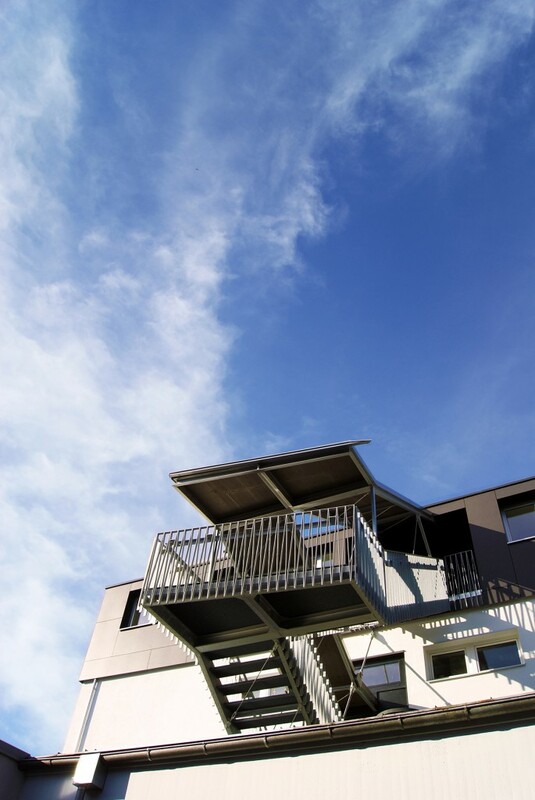 The unit contained both office space in the ground floor and apartments in the upper levels. 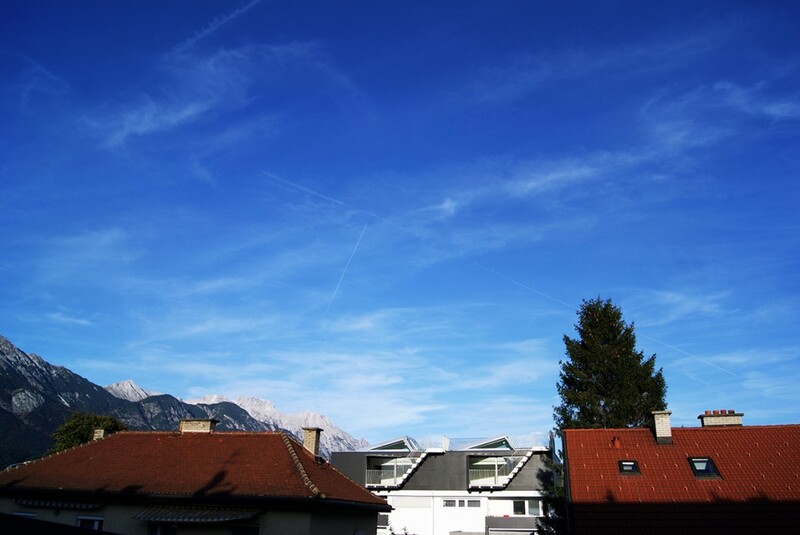 The local building law defining the maximum height of buildings in that specific area of Innsbruck was the main criteria influencing the design strategy of the architects. 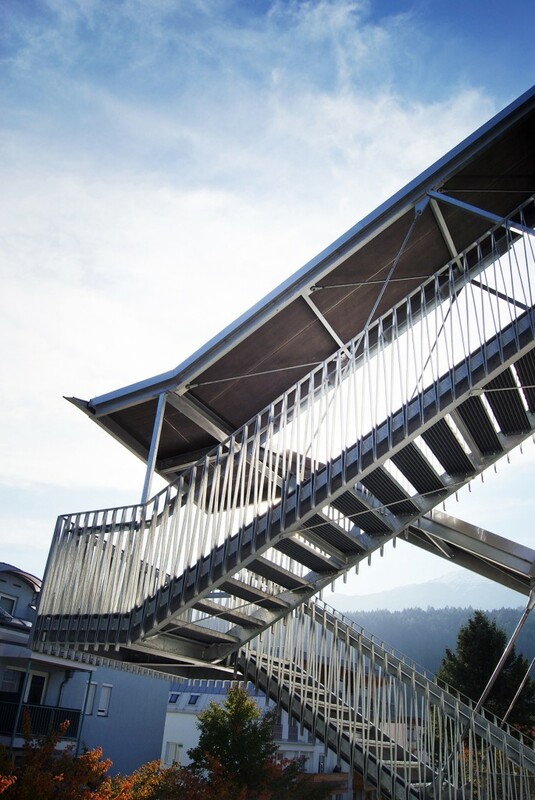 The limited space needed to be bent and unfold – and that’s what we did. 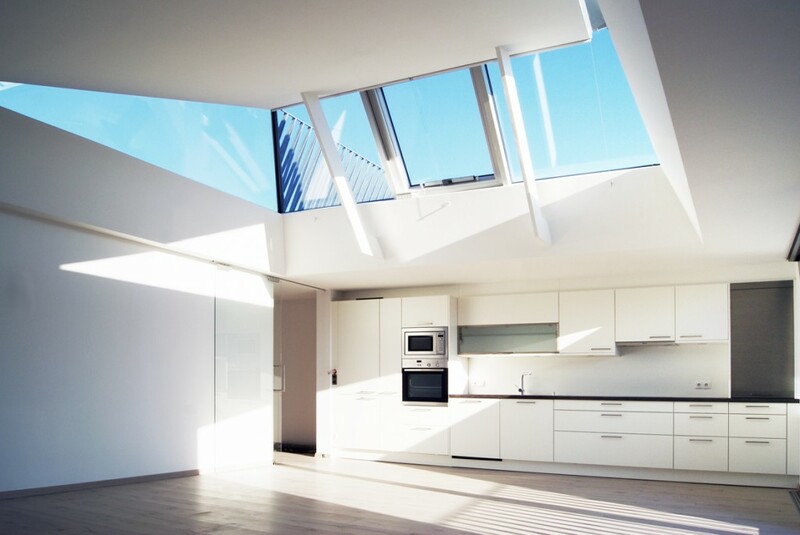 Cutting the roof and swinging out the ceiling opens up a new space, flooded by natural light. 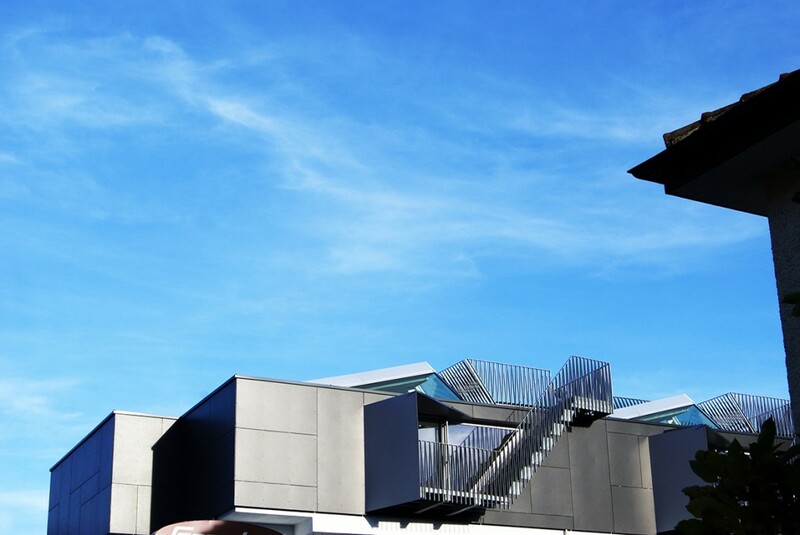 In doing so a rooftop landscape was generated, that was longing for a terrace. 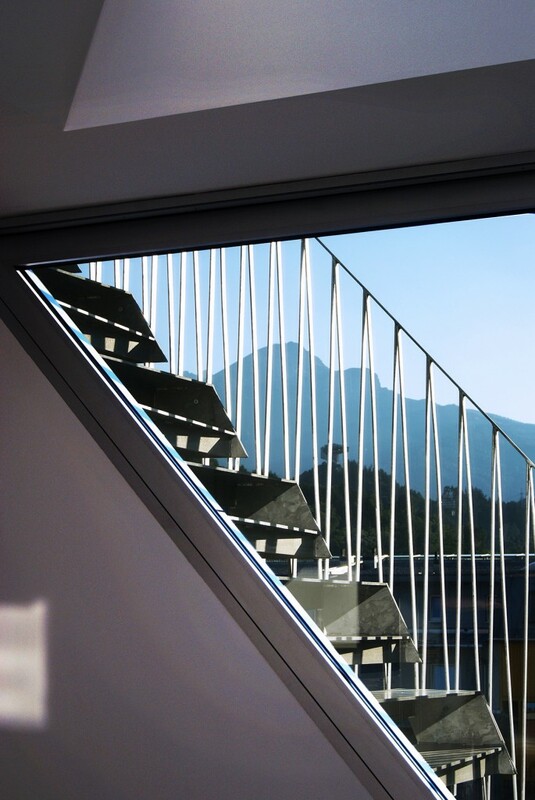 Thus, a “samba” stair is dancing up the roof. 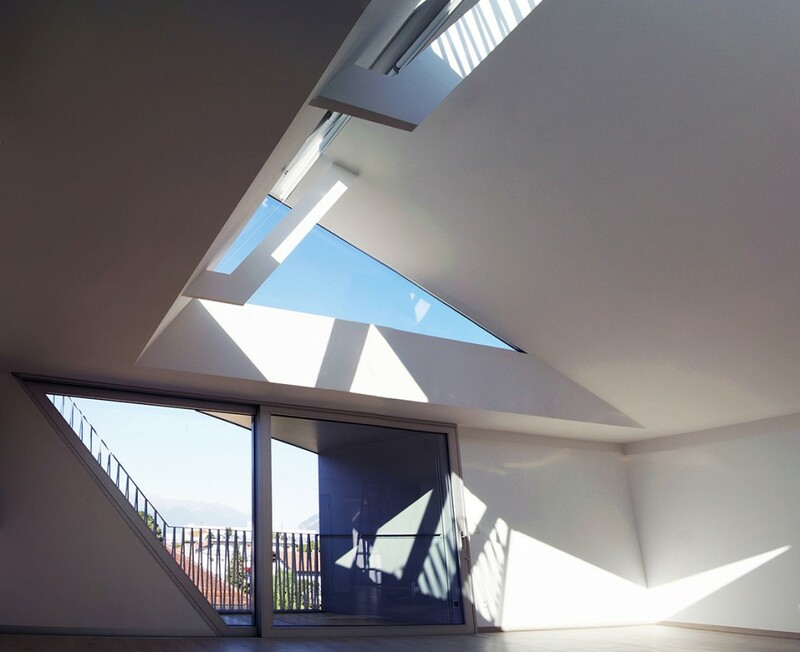 These elements became the design principle, featuring the main volume of the extension – designed in relation to the contours of the existing building. 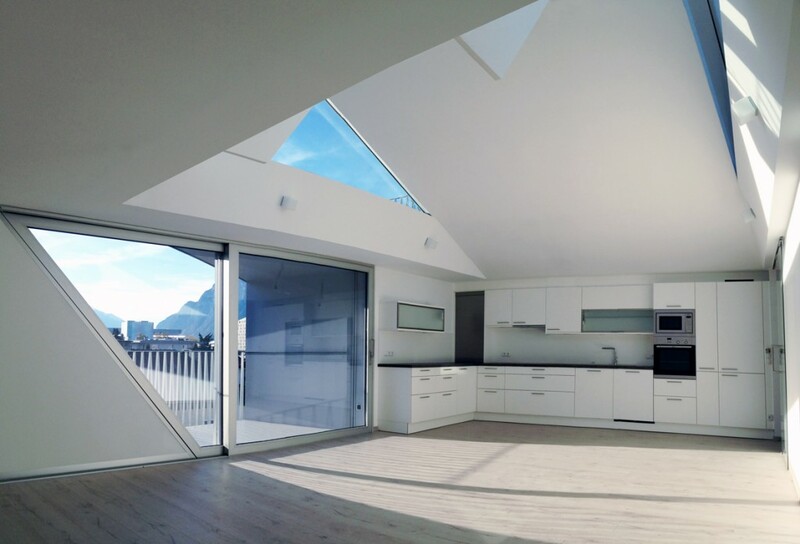 Glulam [glued laminated timber] elements with fibre reinforced concrete panels reduced the weight of the construction a enabled a short construction time. 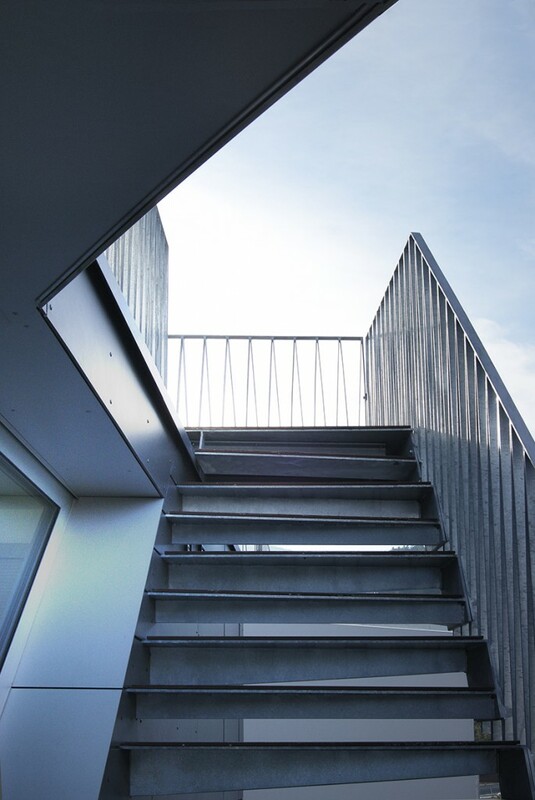 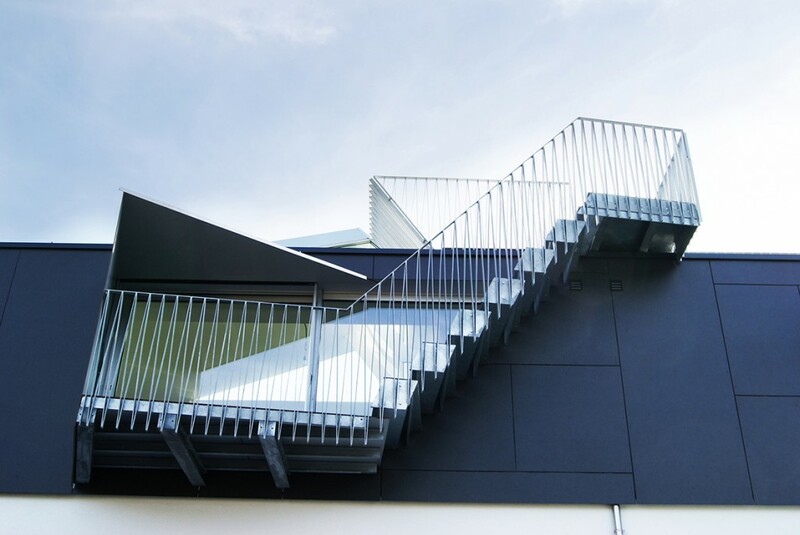 Zinc coated steel for the stairs completed the concept of natural materials. 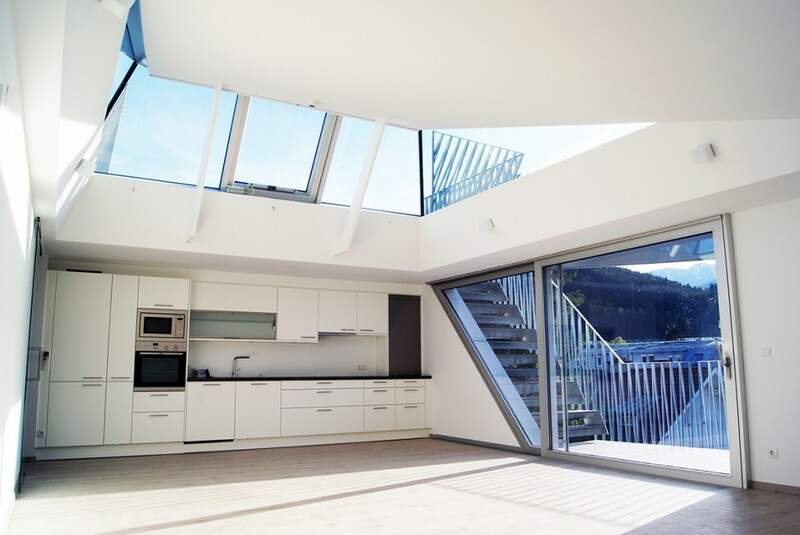 The inner dry wall elements were painted white in line with the bright and open atmosphere.